Each year, the Elsevier Foundation Awards for Early Career Women Scientists in the Developing World recognize talented scientists from Africa, the Middle East, Asia, Latin America and the Caribbean whose work could contribute to life-saving knowledge and therapies worldwide. The prizes rotate between the life sciences, chemistry, and physics/math disciplines. 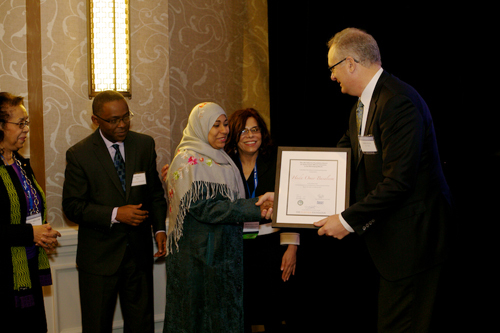 The 2013 awards, presented in February in Boston, honored five medical and life sciences researchers from Bangladesh, Yemen, Peru, Nigeria and Mongolia. The awards are intended to recognize research excellence, build capacity in developing countries, and inspire a new generation of women scientists. They also provide professional visibility for the winners, including exposure at a prestigious interdisciplinary conference. Today, the call for nominations for the 2014 awards was announced by the Elsevier Foundation, the Organization for Women in Science for the Developing World (OWSD) and the Academy of sciences for the Developing World (TWAS). The 2014 awards will focus on chemistry. The five winning scientists will receive a cash prize of $5,000, a year of complimentary access to ScienceDirect, and all-expenses paid attendance at the annual American Association for the Advancement of Science (AAAS) conference in February 2014, where the awards will be presented. Nominations will be accepted by OWSD from April 10th through September 15, 2013.To qualify, nominees must be early-career scientists (within 10 years of graduating with a PhD degree) from the 81 scientifically-lagging countries as defined by TWAS. The nominations will be reviewed by a committee of eminent scientists from the five regions involved, including members of TWAS and OWSD, and chaired by OWSD President Fang Xin. "Since this prize was initiated, we have been deeply impressed by the important and inspiring research that is being done by early-career women scientists in the developing world," said Professor Fang. "The 2013 competition was a great success, and we look forward to a strong new round of nominations for some of the world's most promising young scientists." 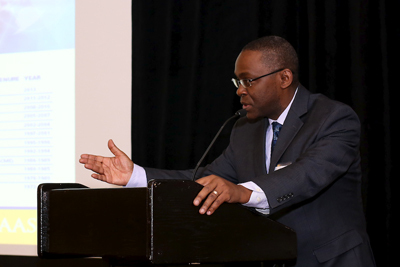 "TWAS sees these awards for early-career women scientists as extremely important," said Professor Romain Murenzi, the Academy's executive director. "Not only do they recognize life-enhancing and life-saving research, but they send a message to younger generations of girls and women: We need you — and we need your best work — to address the great challenges that confront all people and all societies. "We're honored to work with the Elsevier Foundation and OWSD to recognize this excellence in research." As Executive Director of the Elsevier Foundation, David Ruth said, "It's an honor to partner with TWAS and OWSD, given their unique insights into the conducting science in the Global South. These awards have taught us a great deal about the special challenges and dynamics faced by women scientists." 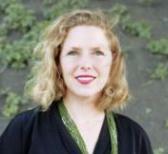 Ylann Schemm (@ylannschemm) manages Elsevier's corporate responsibility program, which focuses on advancing women in science and developing research access in the developing world. She also oversees the Elsevier Foundation's New Scholars program which supports projects to expand the participation of women in STEM and the Innovative Libraries in Developing Countries program with capacity-building projects in science, technology and medicine.